Things have been chugging away with Pulling Strings since our library launch event at Needlework in April-- we are already at work on our summer program. Behind the scenes for the last few months, Thea and I (Tara) have been working with a talented recent grad of Sheridan College's textile program, Alexandra Brownell, on her first exhibition. This opportunity stemmed from a Sheridan class that Thea teaches where I was invited to give a guest lecture on my practice as an independent curator as well as guest curate an installation of student work based on an assignment that was structured like a call for submissions. I juried the submissions alongside the wonderful Liz and Kate from Needlework. It has been a real pleasure working with Alex and getting to know her and her great work. 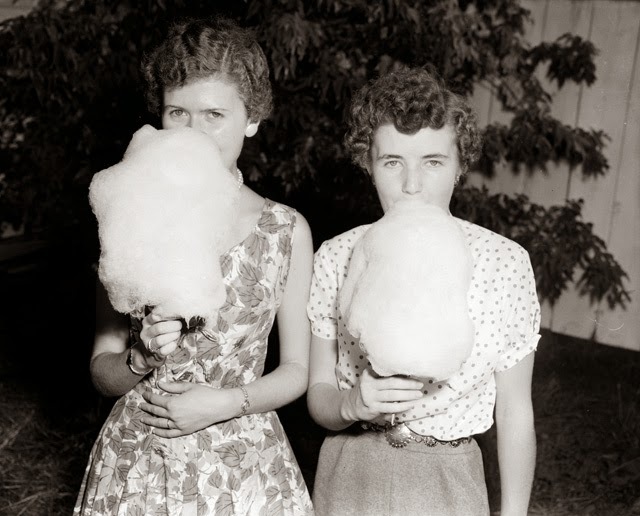 Don't miss her installation (inspired by cotton and photographs found at the Hamilton Local History Archives!) that officially launches at Art Crawl next Friday! For more info about Alex and the show, see below. This installation was organized by Thea Haines (Faculty, Department of Crafts and Design, Sheridan College), Tara Bursey (Independent Curator) and Kate Hunter and Elizabeth Simpson of Needlework. We are continuing to post reviews to celebrate our Pulling Strings Reference Library Launch - taking Place this Sunday! Here is another review from our Pulling Strings team - this one by Jen Anisef. 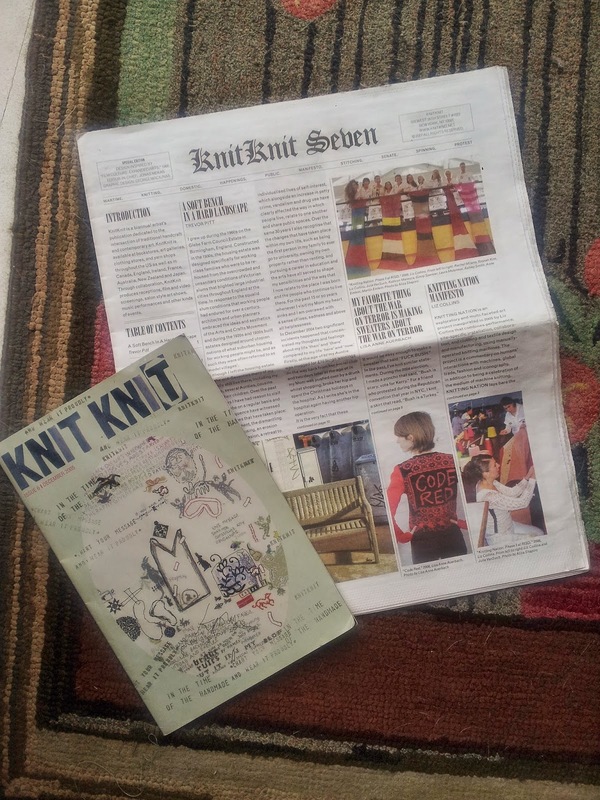 Though I only managed to get my hands on a few issues of KnitKnit (there are 7 in total), I would credit this artist zine for planting the seeds for many, many projects, Pulling Strings included. Creator Sabrina Gschwandtner describes the publication as "dedicated to the intersection of traditional craft and contemporary art", however this slim pub bursts with ideas about gender, performance, collaboration, war, and the power of textiles to express political ideas. It serves as a chronicle of a very fertile time in art/craft which included the formation of the Church of Craft, the creation of everything cozies, Cat Mazza's microRevolt, Dave Cole's excavator-knit US flag, and even Toronto's Westside Stitches Couture Club (feat. the late great Will Munro among other creative collaborators). The pieces that have stuck with me most over the years are the ones profiling groups of makers coming together in live installations and craft-based performances. Allison Smith's The Muster (2004 & 2005) sounds like just about the coolest thing ever, a "creative encampment...[that] invokes the aesthetic vernacular of the American Civil War battle reenactment as a stage set for a polyphonic marshalling of voices in her artistic and intellectual communities. " BAM. KnitKnit profiles the textile-fetishist uniforms created by Muster participants, a giant collaborative knitting machine piece investigating feminized labour during the war, and a neon maypole. 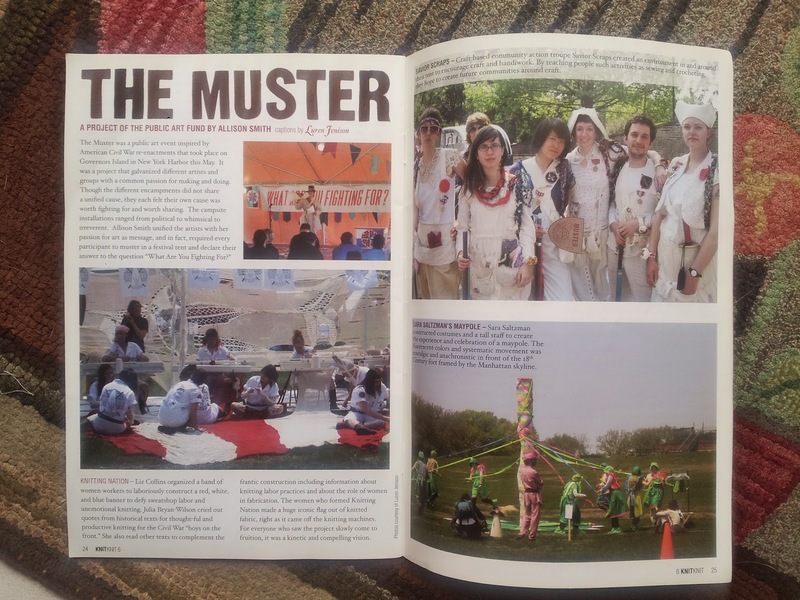 My dream one day is to facilitate (or at lease be involved in) a large scale interactive melding of creative minds similar to the Muster. KnitKnit 6&7 are available for perusal at the Pulling Strings Reference Library at Needlework. 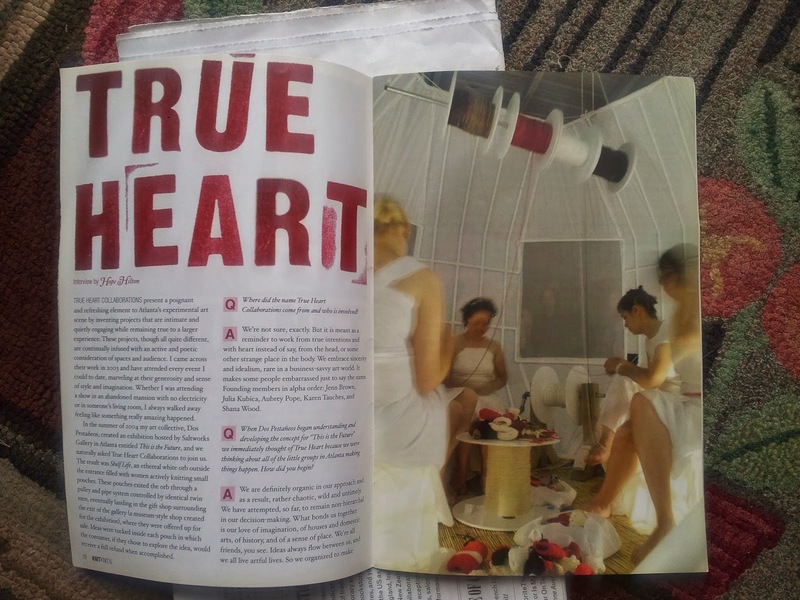 An archive of zine content (including some articles) can be found at www.knitknit.net. We've been hyping the Reference Library Launch all month with mini-reviews from our textile heroes. The launch is coming up this Sunday, and we would love for you to come out to meet some of these folks and get a chance to see some of their favourite textile publications and artifacts from their collection. 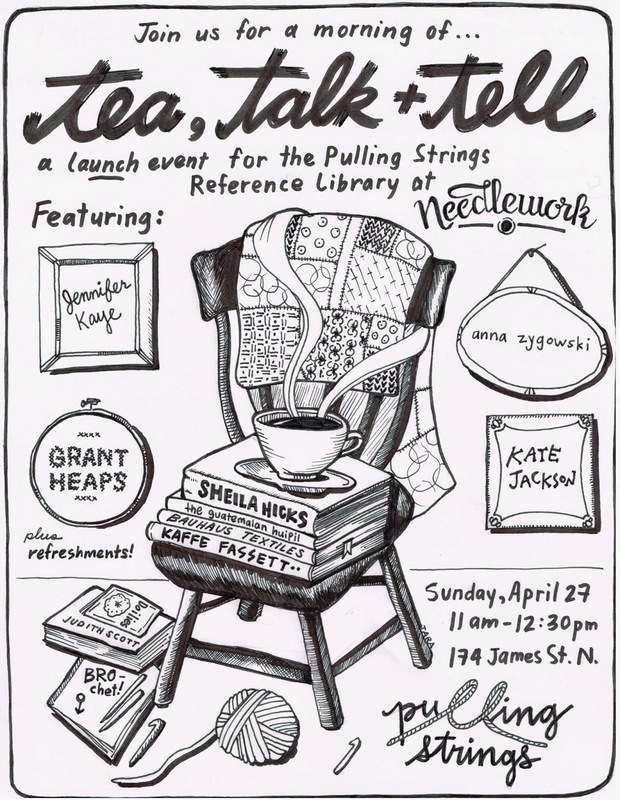 Join us at Needlework (174 James St. N, near Cannon) for a cozy Sunday morning event featuring tea, treats and textile pubs. Textile makers and thinkers Kate Jackson, Grant Heaps, Jennifer Kaye and Anna Zygowski will host a "show and tell" of some of their favourites. 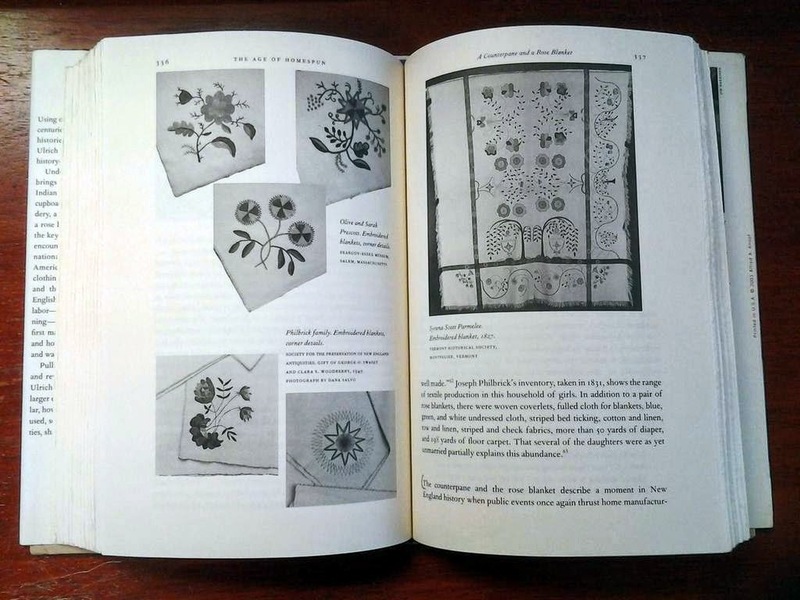 You are also encouraged to check out the zines, reference and how-to books, artist monographs, and vintage patterns that make up our growing library at Needlework. Cost: This is a FREE event - all are welcome! Our Pulling Strings Reference Library event next weekend is fast approaching! More info to come in a few short days, but until then here's another book review, this one from our very own Tara Bursey! The summer after I left school, I was asked by someone I know at the Canadian Macedonian Historical Society to take a look at their permanent collection as well as consult with them about converting an unit in the building they are housed in into a mini-museum of Macedonian social history. 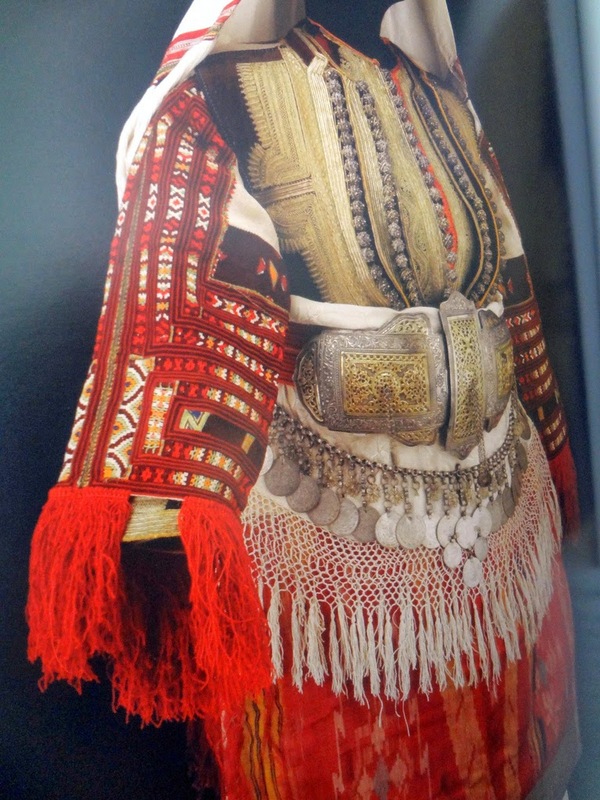 When I visited the collection, I was wowed by some of their beautiful (as well as some of their more humble) examples of Macedonian textiles even though much of it was in very rough shape. One of my first little jobs fresh from school and a contract at the Textile Museum, I simmered with excitement thinking that this was the kind of work that I could actually make a life's work doing-- connecting textiles and social history, not to mention working with objects related to my own family's ethnic identity. As I wandered through the CMHS's archive, I spotted this incredible book-- the massive catalogue of an exhibition that happened last year at the Museum of International Folk Art in Santa Fe, New Mexico. 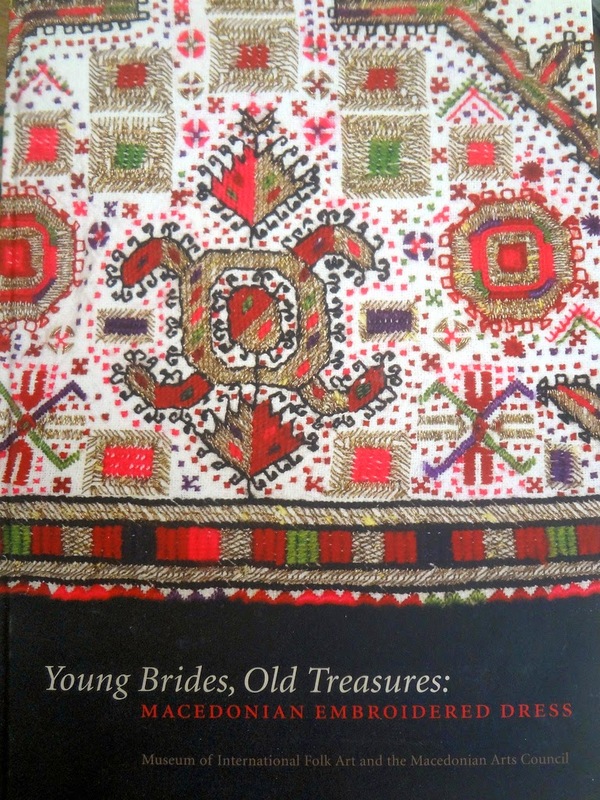 Young Brides, Old Treasures flaunts big, beautiful images of complete folk costumes from across the Republic of Macedonia with a focus on Macedonian embroidery. While embroidery is central, the costumes feature other trademark embellishments such as coin work and lavish red fringes and tassels. Many thanks to Santa for getting me a copy of this catalogue for Christmas last year! For those interested, my copy is in the PS Reference Library at Needlework-- hop over and give it a look! Both of our latest Pulling Strings Library Project inspired reviews are knitting focused, but quite different in flavour. They are brought to you by Hamilton-based textile heads, Anna Zygowski and Jennifer Kaye. We’ll continue to post these mini reviews from our textile heroes through the month leading up to our “official” library launch event, where Jennifer and Anna will both be showing and telling from their personal collection. Stay tuned! 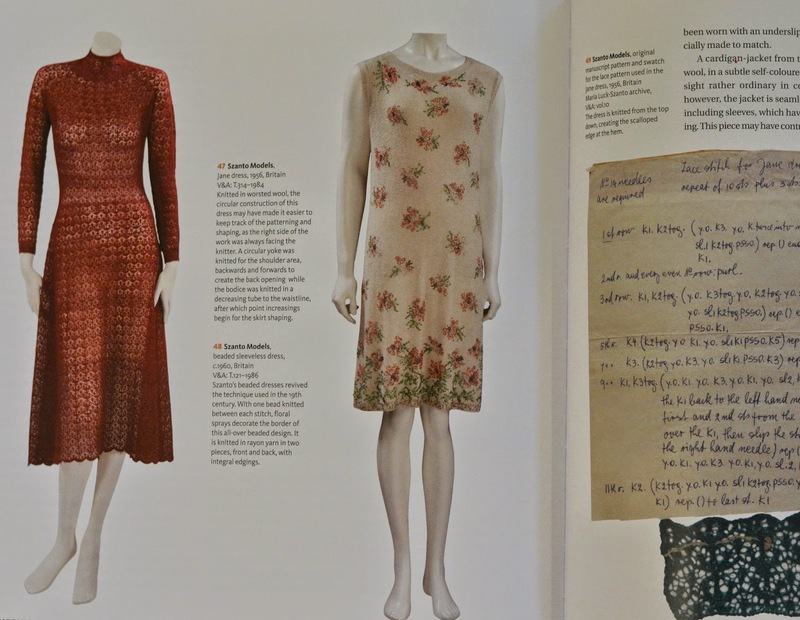 Sandy Black’s book ‘Knitting Fashion, Industry, Craft’ is a fantastic addition to anyone’s reference collection. By drawing upon the Victoria and Alberts Museum’s collection of knitted fashion and artifacts, the book addresses how knitting practices evolved in the home, on the manufacturing floor and the runway. Blacks’ thorough chapter on cottage and couture hand-knitting in the 20th century explores how producers of knitwear have mediated between age old techniques and modern ideas about fashion. 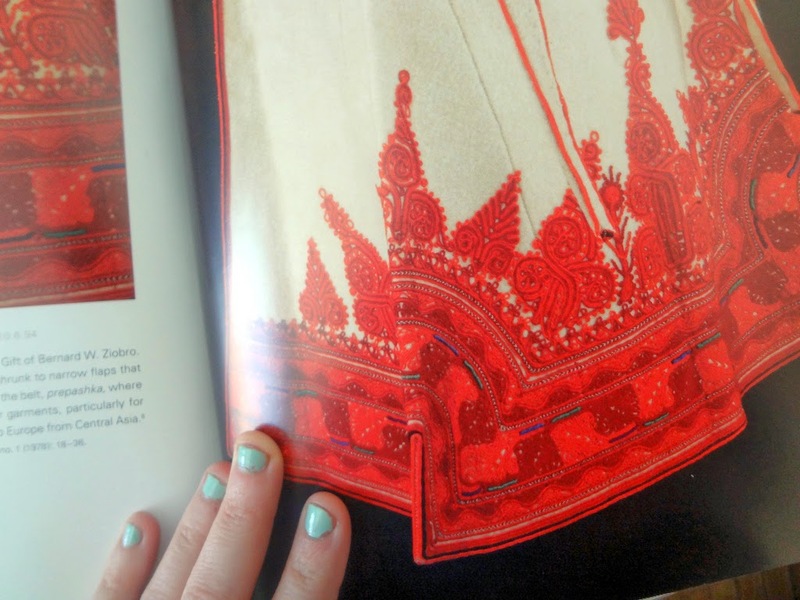 She peppers the book with high fashion images from Chanel, Schiaparelli, and Molyneux against images of fine lace Shetland Island shawls and exquisite 19th century beaded gloves. By doing so she offers an unbiased view of the level of sophistication and technical accomplishment attained by those knitting for income. Finally, a chapter on domestic knitting culture as a historically important and ongoing communal activity rounds out the book. Blacks books is relevant for knitters at any level! I happened upon the Icelandic Textile Museum by happy accident three years ago while driving from Akureyri in the north to Reykjavik to catch a plane to Glasgow. It's about a six hour drive - 1/4 of the time it takes to circumnavigate the island. We were half way through and ready for a break, and so we took our guidebook's advice and stopped in Blonduas to check out the Museum. It was really inspiring - beautiful artifacts, well displayed, with that distinctive Icelandic look to them - a great road-trip find. And so I was very happy to come across this book, Icelandic Handknits, back home in Hamilton. All of the patterns are modelled after artifacts from the Museum, which are pictured beside their contemporary replicas. I brought some lopi wool home with me, and so now I have everything I need to create some authentic Icelandic woollens. There's just one problem -- I hate to knit. 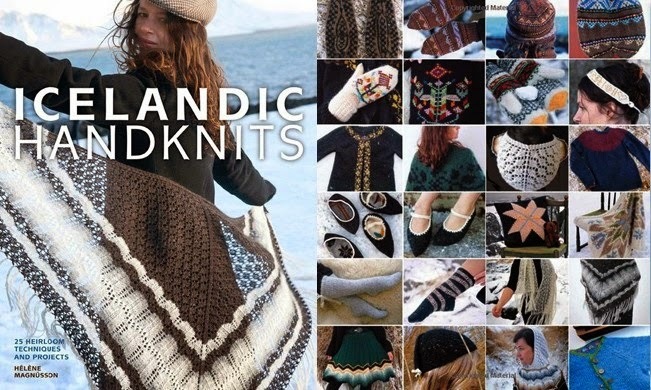 Why couldn't this book have been called Icelandic Handcrochets instead? Oh well, it's still a great reminder of a wonderful afternoon spent amidst the textile traditions of Iceland. Our next Pulling Strings Library Project mini review comes from local textile and mixed media artist Karen Thiessen. Karen can sometimes be seen at Needlework, the Pulling String Library's home base, stitching something tiny and beautiful, often with a Japanese flavour. Her choice from her own collection celebrating the fine art of the stitch comes as no surprise. Keep your eyes on the blog for even more reviews through April as we head toward our library launch! 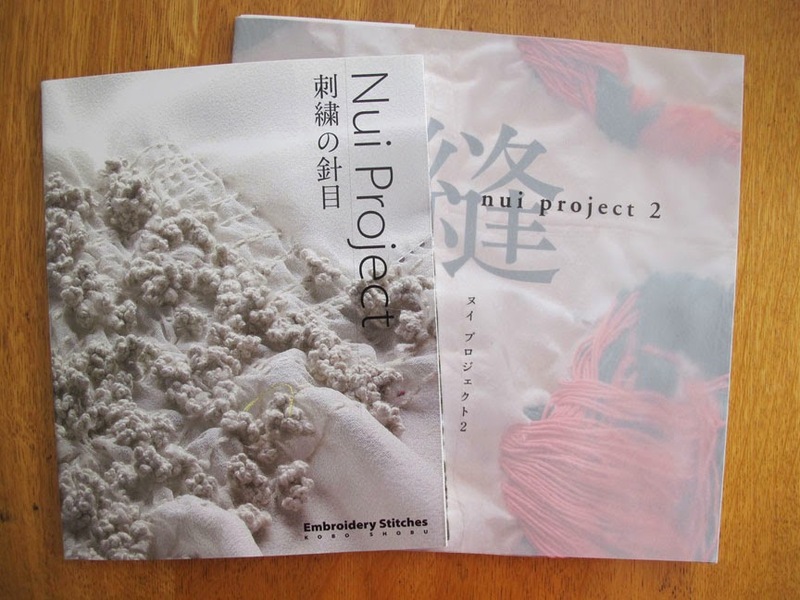 Sandra Brownlee introduced me to the Nui Project 1 and 2 books during a visit to her studio in 2010. 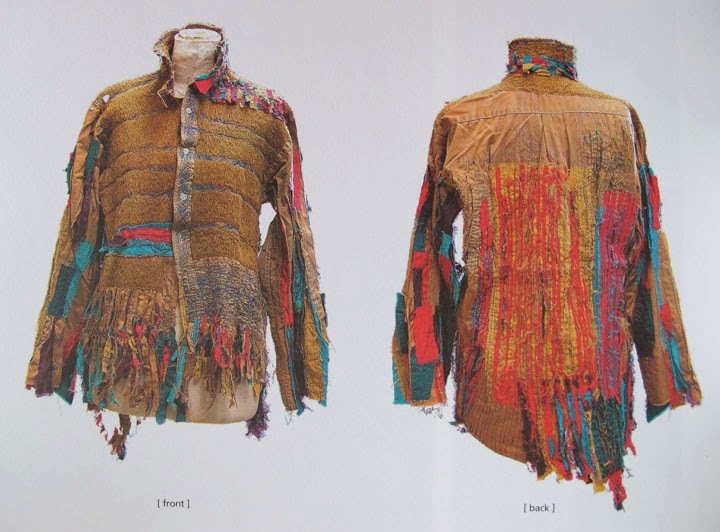 The Nui Project is a group of male and female textile artists who have intellectual disabilities and live in a facility called Shobu Gakuen in Kagoshima, Japan. With the assistance of facilitators, Nui Project textile artists embroider ready-made shirts and other textiles to be sold as commercial products and the results are spectacular. The textiles aren't all wearable or functional but serve more as remarkable sculptural objects. Each artist has his or her own distinct style and the textiles are stitched intuitively. A common characteristic of the artworks is the awe-inspiring accumulation of stitches. I purchased the books from Yoshiko I. Wada’s Slow Fiber Studios online shop and they are now sold out. Contact the shop to see if the books will be reordered. At the heart of the Pulling Strings project is a hunger to explore the stories that textiles tell us about our culture and how we relate to each other. This book shared by Susan Fohr, Education Programs Coordinator at the TMC, does exactly that. We'll keep posting more of these mini reviews to mark the launch of our reference library throughout April - stay tuned! 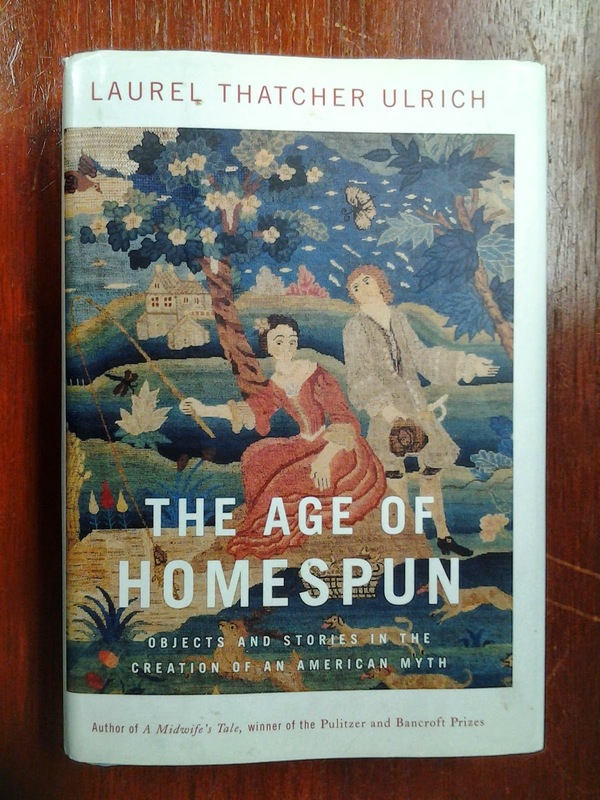 My favourite textile book is The Age of Homespun: Objects and Stories in the Creation of an American Myth by Laurel Thatcher Ulrich. As a museum educator, I am fascinated by the power of objects to communicate the stories of those once associated with them. 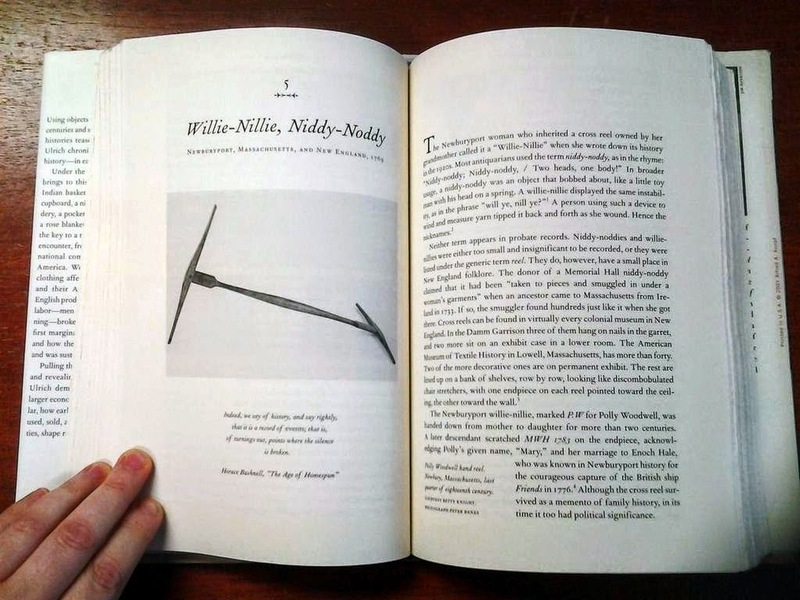 Each chapter of The Age of Homespun features an object from a New England museum or historic site – including a native basket, two spinning wheels and a niddy-noddy – and outlines the role textiles played in shaping narratives related to nationhood, industrialization and gender in New England from the late seventeenth century through the early nineteenth century. I was particularly fascinated by the ways in which textiles, and the furniture that housed them, served as a means to build relationships and lineages over time, ensuring the preservation of a female line. Having begun my museum career as an historic interpreter (in fact my “textile education” happened while working at Black Creek Pioneer Village), this book reinforced my belief that we study history to do more than remember the past; we study history to discover how we can live better today and tomorrow. Pulling Strings is a Hamilton, Ontario based quarterly event series that investigates contemporary cultural themes through textile-linked lectures, panel discussions, exhibitions, workshops, and fieldtrips.